Stay clear that thing stings nice shot. Very nice wasp and plant. 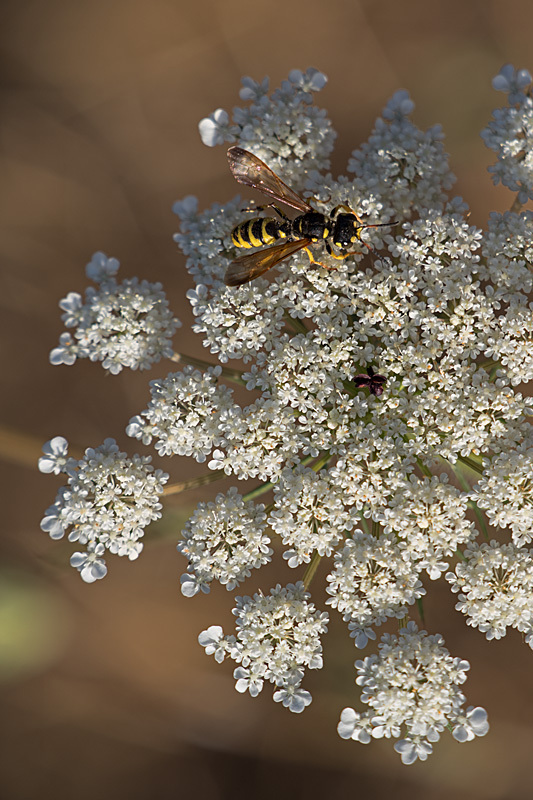 Queen Anne's Lace may be an environmental weed but there is no denying that it is an attractive flower. Thanks. We have a lot of 'em around right now.